Adam (Joseph Mawle) and Clare (Bojana Novakovic) should probably stop trespassing in the picturesque woods surrounding their Ireland home, if they care about their lives or their baby at all, lest they invoke the wrath of a forsaken species of forest-people who have territory issues. At least – that’s what all the superstitious locals keep telling them. Also, that mysterious, barbed plant-goo that keeps cropping up is probably best untouched. 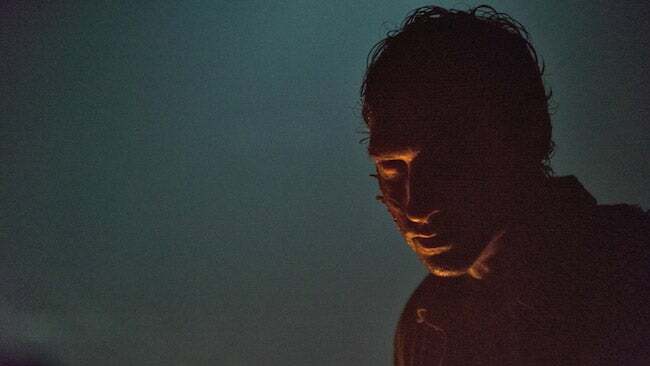 These two concepts – spooky folklore and a possible biohazard – combine in The Hallow, directed and co-written by Corin Hardy, as his first feature film and résumé predecessor to a recently-announced 2015 reboot of The Crow. Hardy and co-writer Felipe Marino ground a fairytale into a plausible reality, while still maintaining its folkloric magic in The Hallow, a Park City at Midnight selection at the 2015 Sundance Film Festival. The Hallow starts out as a pure horror flick, as Adam and Clare are slowly targeted by “the hallow,” a sort of Irish swamp-people with demonic overtones. The initial suspense and feeling of dread is strong, though the tensest emotions have to be that of fear for the baby. Once an invasive local man (Michael McElhatton) gifts a copy of the Book of Invasions (an ancient text on Irish history and mythology) to Clare, detailing the hallows’ tendency to steal babies among other things, that stress becomes nearly overwhelming. As the film goes on, it almost becomes more of a scary, action-packed sci-fi flick, where the fear of the unknown is replaced with the fear of survival. This switch happens gradually as the “monsters” become more familiar. The hallow – Hardy’s comprehensive take on legions of Irish folklore – are so thorough in their design and appearance that it’s hard to tell where accepted myth canon ends and Hardy’s adaptation begins. Aesthetically, the hallows’ effectiveness is due in large part to the avoidance computer-generated effects, in favor of utilizing costumes, make-up, and optical trickery. Impressive visuals are a common theme in The Hallow, right there next to clever usage of sound. The pleasing dichotomy of gorgeous Irish scenery and the terrifying swamp beasts that arise from it is complemented by the classic use of sound – where just the crunch of a footstep or the winding up of a camera is enough to invoke chills. Mawle and Novakovic navigate this world enthusiastically as Adam and Clare, in two largely physical and emotional roles. The Hallow’s few faults lay with the occasional obvious plot device and possible overexposure of the monsters, which lose a bit of their scariness over time. However, the film completely makes up for it with its unique concept and inventive effects.